"I am the fifth dimension! I am the eighth wonder of the world!" During the mid-1930s, British and overseas newspapers were full of incredible stories about Gef, a ‘talking mongoose’ or ‘man-weasel’ who had allegedly appeared in the home of the Irvings, a farming family in a remote district of the Isle of Man. The creature was said to have the ability to talk in several languages, to sing, to steal objects from nearby farms and to eavesdrop on local people, such that they became uneasy at the farmer’s seeming ability to be able to tell them their most private goings-on. Despite written reports, magazine articles and books, several photographs, fur samples and paw prints, voluminous correspondence and signed witness statements, there is still no consensus as to what was really happening to the Irving family. Seven years’ research and interviews, photographs (many previously unseen), interviews with surviving witnesses, visits to the site – all are presented here in this new book, the first examination of the case for 70 years. 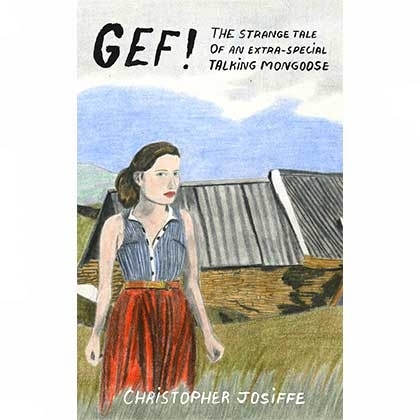 Christopher Josiffe is a regular contributor to Fortean Times and has also been published in Faunus, Abraxas and The Pomegranate. He has presented lectures at (amongst others) the Ghost Club, the Society for Psychical Research, Senate House (University of London), Alchemical Landscape II (University of Cambridge), the London Fortean Society, and the Fortean Times Unconvention.